It’s been a while since I updated. Had lots and lots going on and non-digital life has taken over. 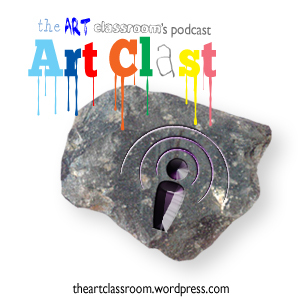 Though if you are wanting a daily dose of The Art Classroom, you’re probably best following my Instagram account which you can find a link to on the right. This week’s ‘AOTW’ comes from Niamh S (S1). 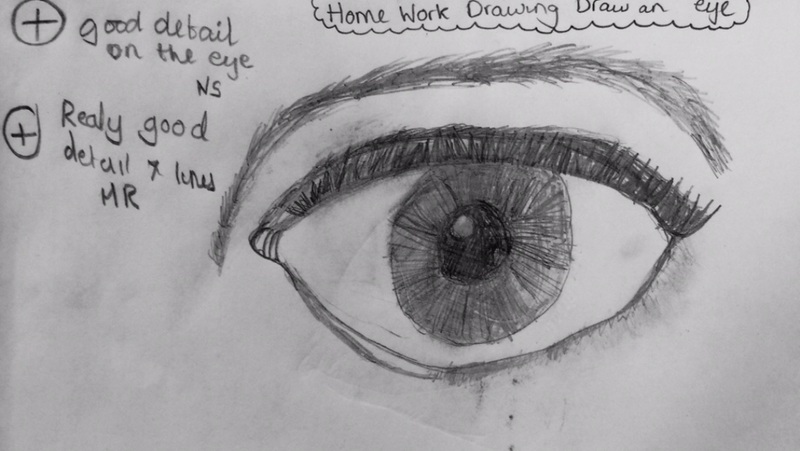 She has been looking at portraiture and completed this lovely eye drawing as a homework. When she brought it in, it impressed her class and I thought it was worth showing you lot. Why does it work as a great study? Well… Niamh has closely looked at how an eye looks. She has included the tear duct, the pupil is nice and circular, the iris sits high in the eye and the eyebrow is contoured away from the nose. Add these into your drawings of eyes to make them more realistic. Previous PostAs Cute As A Bug In A RugNext PostBack On Track!